A NORTHERN Territory man has claimed a multi-million Tattslotto prize after finding the winning ticket more than a month after it was drawn. The Katherine man - now the Top End's newest millionaire - finally checked the ticket yesterday, five weeks after Tatts officials started the hunt for the winner. 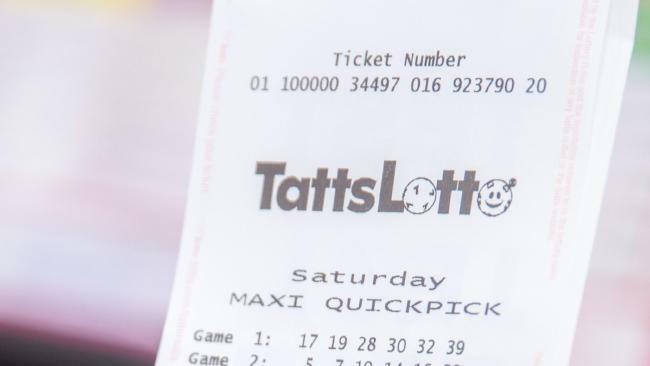 The man held one of the two division one winning entries nationally in the Tattslotto draw from May 5, with each entry scoring the division one prize of $2,013,144.80. But his ticket wasn't registered to a Tatts Card, so officials had to wait for the winner to find them. The man, who wants to remain anonymous, said he'd heard the money had been won locally, but he didn't think for a second it was him. "I had the ticket on the fridge at home the whole time," he man laughed. Yesterday, when he finally got around to checking his 50-game QuickPick entry he'd bought from Katherine Exposure Photographics, he realised his numbers had come up. "I downloaded the results online and I started going through the ticket and then I saw I had all six numbers in a row. "I only realised how much the prize was today - I wasn't sure if that prize was shared or whether I got that full amount. "It's just fantastic. It would take you all your life to earn that amount." The hardworking local doesn't expect life to change much despite winning a fortune. "Some of it will get used on things we need, but the rest will make a nice little nest egg for our future," he said. Katherine Exposure Photographics owner Kathy Smale said she was delighted the winner had finally been united with their prize. "We've had people coming in every day for the past few weeks asking if the winner had been found so it will be great to finally say - 'yes they have'," she said. It's the second winning division one ticket the business has sold in the past year.